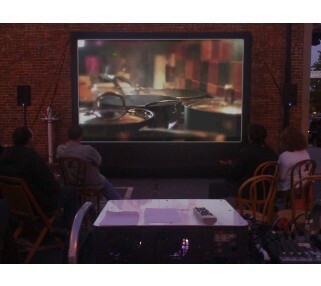 A complete outdoor movie rental package for up to 250, incl. projector, DVD player, 2 speakers & 12' screen. 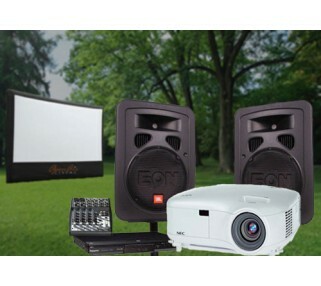 This outside screen and projector rental package provides everything you need for a high quality, outdoor movie experience for up to 250 people. Great for larger backyards, neighborhood block parties, apartment complexes and "movie in the park" nights. 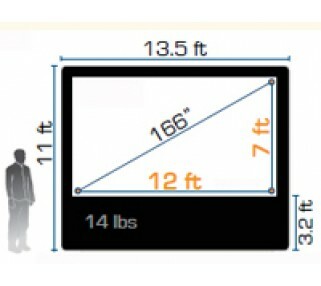 This package includes a bright 3000 lumen projector and 12' wide by 7' tall inflatable projection screen. When you pickup your outdoor movie package rental, we will show you everything you need to setup and run the movie yourself. 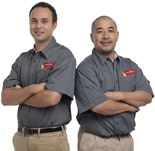 We back that up with 24/7 free technical support, in the event you experience difficulties several hours before your event. A popular add-on to this package is a microphone, allowing you to greet your audience, make announcements, thank your sponsors, etc. We can also provide an iPod cable, allowing you to play music before and after your movie. And of course, a popcorn machine is always a crowd favorite.